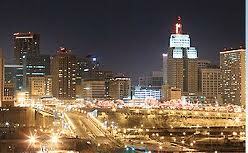 Downtown Saint Paul, a hub of music and arts this week. Not to put too fine a point on things, but this week will be hopping in downtown Saint Paul, as two summer series get their start and an all-night art festival takes place during the weekend. Over in Minneapolis, there’s an acoustic music festival on Saturday, and we’ll be treated to visiting artists from New Orleans, South Africa, and New York. To top things off, we’ve got a couple of Woodstock-era artists visiting town, tempting those of a certain age to get out and spend some of their children’s inheritance. Live music is good for the soul. Have a great week. Sister Swing @ the Landmark Center, Saint Paul. Noon – 1pm (Free) This is the start of the annual Music in the Cafe Series at the Landmark every Wednesday through July. Maryann Sullivan and Rhonda Laurie sing and swing some standards, abetted by Doug Haining, sax; Steve Pikal, bass, and Robert Bell, guitar. Get yourself some lunch at Anita’s Cafe in the atrium (where the concert takes place) or brownbag it. Body Omara @ Cafe Maude, Minneapolis. 7pm – 10pm (No Cover) Jazz informed by the Desert Blues of Mali. Body Omara is Robert Damman, guitar and compositions; Tom Reichert, bass; and Davu Seru, drums & percussion. Phil Hey/Pat Moriarty Duo and Round Trip @ The Artists’ Quarter, Saint Paul. 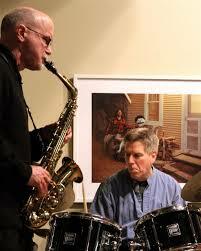 9pm ($5) Drummer Hey and alto saxophonist Moriarty have been playing together for forty years. Playing as a duo, their ability to communicate so well allows them to create free music that is exciting and much more accessible than you would think. They’ll also be doing some sets with their Ornette Coleman repertory band, Round Trip, which includes Chris Thomson on tenor and Tom Lewis on bass. Jazz fans of many stripes will not want to miss this. Rebirth Brass Band @ The Dakota, Minneapolis. 7pm ($30), 9pm ($20) From New Orleans comes this Brass Band that started out on the streets 30 years ago, and now travels the world spreading joy. Music that’s visceral, yet celebrates the pure joy of being alive. Check out this video. Southside Aces @ Harriet Brewing Tap Room, Minneapolis. 8pm Foodtruck: Cajun 2 Geaux. More New Orleans music, this is of the traditional kind, performed by a band from the area. If the weather is nice, the warehouse doors will be open and you can do some swing dancing, or just enjoy the music while you’re outside. Byron Johnson-Blanchard Trio @ The Red Stag, Minneapolis. 10pm (No Cover) Jazz standards and originals from this recent grad of MacNally Smith. Byron is the drummer for High and Mighty, so you know he’ll be in the pocket. How Birds Work @ The Artists’ Quarter, Saint Paul. 9pm ($10) A quartet of musicians who consistently deliver exciting performances. Dean Granros, guitar, Chris Bates, bass; Peter Schimke, piano; and Kenny Horst on drums can mesmerize and inspire as they play “standards” from folks like Wayne Shorter, John Coltrane, and Herbie Hancock, while throwing in some originals for good measure. They only play a few times a year, so it’s a treat to have them for a weekend. Courageous Endeavors and Lars Larson’s Mancrush @ Jazz at Studio Z, Saint Paul. 7pm/doors at 6:30 ($10) It’s Young Lions night for this final show of this season’s Jazz at Studio Z series. Courageous Endeavors is led by Brian Courage on bass, quickly becoming a bassist-about-town, and features recent University grad Joe Strachan on piano; with Nelson Deveraux on sax; and Miguel Hurtado on drums. Mancrush features drummer Lars Larson, with relatively young veterans Zacc Harris on guitar; Brandon Wozniak, sax; and Bryan Nichols on Fender Rhodes. Lomheim, Jany, & Weston @ Porter & Frye Jazz Lounge, Minneapolis. 9pm – Midnight (No Cover) A new spot for jazz, at least for the rest of June. Chris Lomheim, piano; Pavel Jany, guitar, and Dan Weston, bass. It’s located in the lower level of Porter & Frye, in the Hotel Ivy. Jazz on the Prairie Big Band Festival @ Staring Lake Amphitheater, 14800 Pioneer Trail, Eden Prairie. 2pm – 6pm (Free) Six community big bands, including The River City Jazz Orchestra, The Good News Big Band, The Just Friends Big Band, the Acme Jazz Company, w/vocalist Arne Fogel, The Bend in the River Big Band, and the Jazz on the Prairie Big Band. Bring a lawn chair or blanket. The Eden Prairie Rotary Club are sponsoring a Ribfest in case you get hungry. More information is available here. Connie Evingson: Songs by Dave Frishberg @ The Jungle Theater, Minneapolis. 4pm, 7:30pm ($25) w/Jon Weber, piano; Dave Karr, sax; Gordy Johnson, bass; and Phil Hey, drums. The music of Dave Frishberg is always hip. Heck, he’s even got a great little song called “I’m Hip,” as well as “Peel Me a Grape,” “My Attorney Bernie,” and more. Evingson did a whole album of his tunes, and she’s got a hip backing band as well. Here’s a video someone put together from Connie’s album of Frishberg songs. 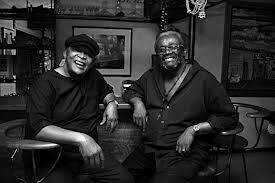 Hugh Masekela and Larry Willis @ The Dakota, Minneapolis. 7pm ($40), 9pm ($25) Trumpet/piano duets from two musicians who attended the Manhattan School of Music together in the 60s. Since graduating, Masekela had a few pop hits (Grazing in the Grass, anyone?) and then went on to concentrate on the politics of his native South Africa. Previous appearances at the Dakota with a full band had him performing uplifting, vital music. Willis was a force on the avante-garde scene of NYC in the sixties, and also recorded with such stalwarts as Lee Morgan, Stan Getz, and Jackie McLean, not to forget Blood, Sweat, and Tears, Alphonse Mouzon, Carla Bley and a host of others. More recently, he’s recorded with Erik Alexander, released well-received CDs on High Note Records, and was recently featured with the Steve Davis Quintet on a live recording from Smalls in NY. Crenshaw with a copy of his 80s album. Marshall Crenshaw, the Bottle Rockets @ Famous Dave’s, Minneapolis. 7pm ($20-Advance, $30 – Door, $40 – VIP) A double-bill that’s worth your while. 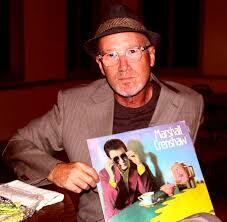 Marshall Crenshaw is a power pop singer/songwriter who scored pretty big with “Someday, Someway” back in the 80s. He’s had four of his songs covered by Ronnie Spector and others covered by folks ranging from Austin songstress Lou Ann Barton to Freedy Johnston and Bette Medler. Crenshaw has appeared in the touring show of Beatlemania, played Buddy Holly in the Richie Valens biopic La Bamba and published “Hollywood Rock: A Guide to Rock n’ Roll in the Movies.” He currently hosts a radio show on the fabled WFUV in New York, featuring his own collection of records. On the other hand, The Bottle Rockets, from Saint Louis, have been around since 1992, creating a rockin’ body of work that reflects the views of everyman. Dan Israel & the Cultivators, Martin Devaney @ Music in Mears, Saint Paul. 6pm – 9pm (Free) Lowertowns annual summer music series opens with Dan Israel, who just celebrated the ambitious release of “Danthology,” and “Live On.” Danthology is a two LP vinyl set of 25 of what he considers his best songs from 20 years and a dozen CDs, while Live On is his latest CD. Singer/songwriter Martin Devaney, who’s no slouch when it comes to both, opens. Joan Baez @ The Minnesota Zoo, Apple Valley. 7pm ($47) The first show of this season’s Music in the Zoo will open without the presence of the event’s founder, Sue McLean, who passed away a couple of weeks ago. 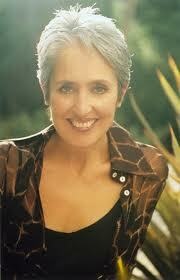 Joan Baez came to fame at the Newport Folk Festival in 1959, hung out with Bob Dylan, played Woodstock, recorded over 30 albums, garnered a few gold records, and received a lifetime achievement award at the 2007 Grammy’s. Her crystalline voice moved more than a few anti-war protesters back in the day. As always with this series, it’s wise to buy your tickets ahead of time. Charanga Tropical & DJ Fatty @ Northrup Plaza, U of M, Minneapolis. 7pm – 10:30pm (Free) DJ Fatty spins Salsa until 8pm, when the nine-piece latin band takes over. Charanga Tropical includes three violins, a flute and a latin rhythm section, including musicians from Cuba, Brazil, and Mexico. There is sure to be plenty of dancing under the stars on the large plaza of the U’s Northrup auditorium. Food and drinks will be available for sale. Here’s an excerpt featuring their string section. New, Live, & Local @ The Hat Trick Lounge, Saint Paul. 8pm – Midnight ($5) Here’s a chance to see a wide variety of music in one evening, including the Symbiosis Drum & Dance Ensemble; Srahalys, performing music from Eastern Europe and Central Asia; Bella Duo, two cats from the Spaghetti Western Company; and Caravan Music and Dance, performing classical and contemporary music from the Middle East. Loring Park Acoustic Music Festival @ Loring Park, Minneapolis. Noon – 8pm (Free) Spend your Satuday havin a picnic and lolling on the grass while you listen to the cream of the area’s acoustic musicians, including the DL Cajun Trio; Jack Klatt & the Cat Swingers; Mikkel Beckmen and Steve Kaul; the Town Hall Stompers, and the Roe Family Singers, among others. There’ll be a couple of food trucks available, naturally, but a couple of neighborhood restaurants are a short walk away, should you want different take-out. The Good, The Bad and the Funky @ Minnesota Music Cafe, Saint Paul. 9pm ($?) Always funky, never bad, except when bad means good. This ten-piece horn band plays funk, soul, and R&B. Whether you’re 21 or 61, their infectious, old school approach to R&B will lure you to the dance floor. Northern Spark Festival @ Lowertown, Saint Paul. 9pm Saturday – 5am Sunday (Free) A panoply of art and music (almost 80 projects) with performances and demonstrations ranging from the Ananya Dance Theater to the Shubert Club, saxman Steve Clark, DeeJay Rambo Salinas (ex-Hot Pants), and shape note singing, to Zeitgeist. It all takes place at the Union Depot, along the river, and throughout Lowertown. The evening opens with a concert by Mayda in the Union Depot and closes with yoga at Lower Landing. The full schedule of events can be found here. Be sure to take your “disco nap” on Saturday. John Sebastian @ The Dakota, Minneapolis. 7pm ($36) Holy Woodstock! First we have Joan Baez, now John Sebastian in the same week. There will be lots of graybeards in the audience for this show, but don’t be surprised if members of other generations show up as well. With a friendly voice and well-written songs, Sebastian has been an inspiration to numerous singer/songwriters. He was responsible for the Lovin’ Spoonful having seven songs in the top ten. After Woodstock, he took to writing for television and films, scoring with “Welcome Back,” for Welcome Back Kotter, and was inducted into the Rock and Roll Hall of Fame in 2000. Welcome Back, Indeed. Here’s a song you may have forgotten. This entry was posted on Wednesday, June 5th, 2013 at 9:55 am and is filed under Weekly Preview. You can follow any responses to this entry through the RSS 2.0 feed. You can leave a response, or trackback from your own site.